The common characteristic amongst the individuals we work with is that at some point in their career, they have an over-weighted exposure to idiosyncratic risk. Outsized risk directly impacts the way we address wealth planning and investment management. When concentrated risk makes up a large portion of an individual’s net worth, it needs to be managed in correlation with the rest of their financial picture. 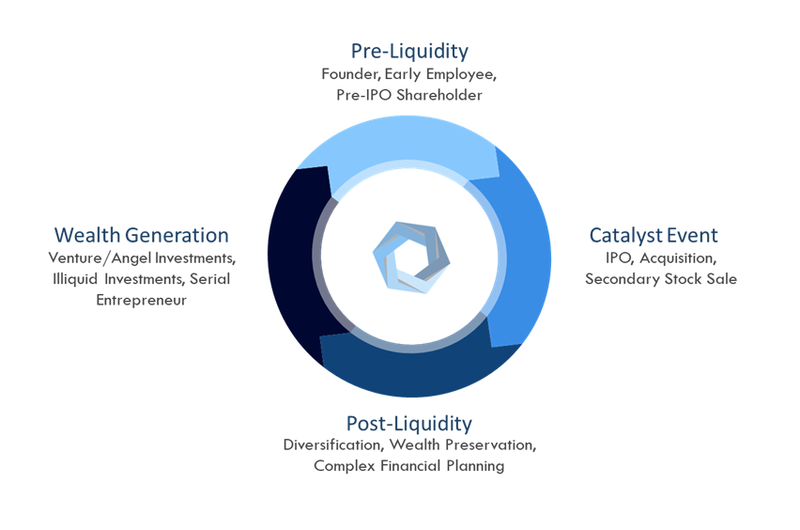 In our truly holistic strategy, we work to create a balance between wealth generation, capital preservation, and asset protection, while taking into account the outsized risk of the individual situation. Preserving wealth after an IPO, acquisition, merger, or other liquidity event can be challenging. However, working with an unbiased, knowledgeable financial advisory team before, during, and after a liquidity event, can position you and your family for the rest of your life.